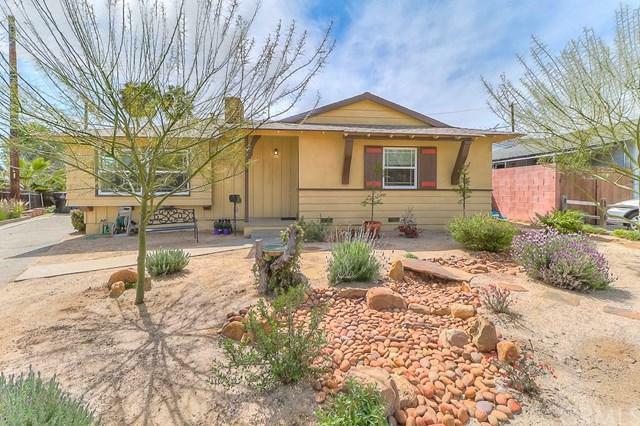 This is a beautiful home with remodeled features for comfortable living. 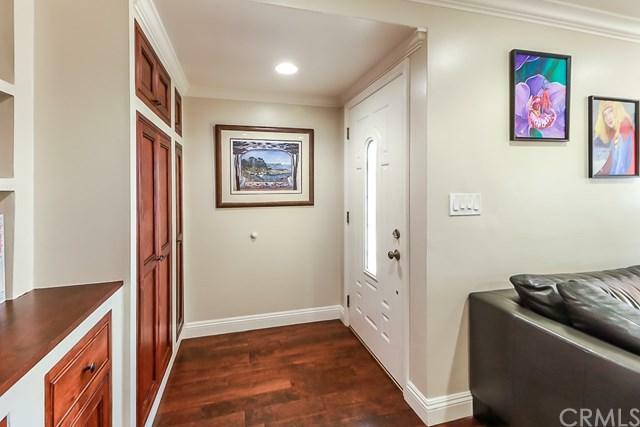 The entry hall leads to the living room with beautiful built-ins and a brick fireplace. Living room and dining room are connected with dark wood floors, recessed lighting and crown molding. It has a wonderful gourmet kitchen with custom beach wood cabinets. The cabinets have the soft close feature with pull out drawers, granite counters with slate backsplash and top of the line Bosch stainless steel appliances. The bedrooms all have wood floors. Two have ceiling fans and crown molding. The master has an upgraded bath with newer vanity featuring tilt mirror and tile floor. The main bath has a tile floor and a tub/shower combo. The house has solar panels that have been paid off. The covered patio and new lawn is perfect for entertaining. 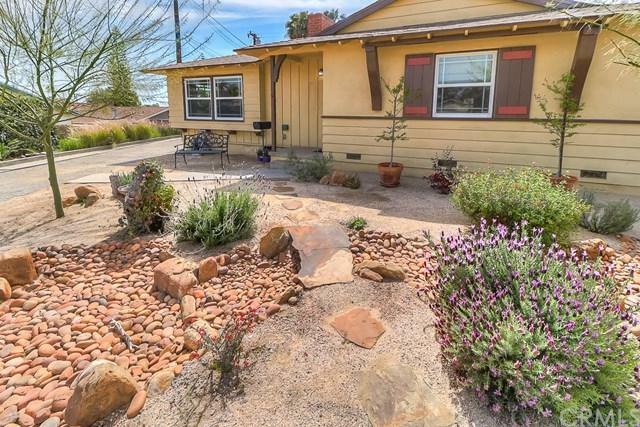 The front drought-tolerant landscaping with a drip system is a big plus. 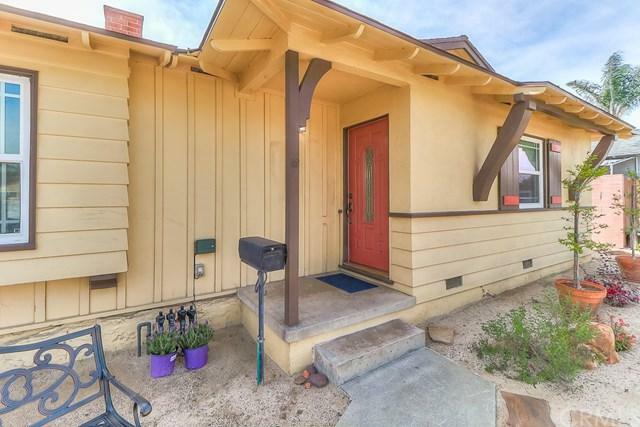 It has a detached garage and long drive-way for extra parking. This is a GEM! Must see to appreciate!